In 1910, Henry Ford moved production of the Model T car from a small factory in Detroit to a massive new plant located on Woodward Avenue in the city of Highland Park. The introduction of assembly line production here in 1913 revolutionized the way that cars were made, but made this and similarly designed plants obsolete. 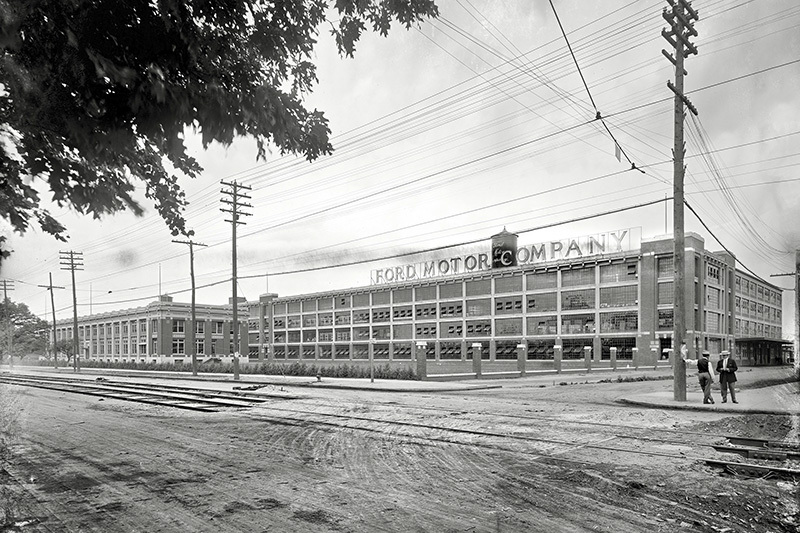 After Ford moved automobile production from Highland Park to a new factory on the River Rouge in 1927, the plant continued to make auto parts as well as trucks and tractors. 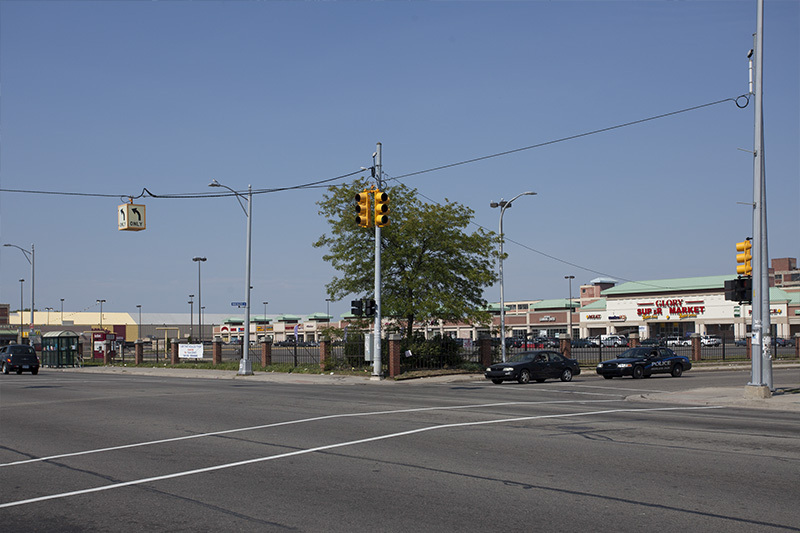 Part of the plant facing Woodward Avenue was demolished in 1956, and remained empty until construction of a shopping center began in 1997.